According to the California Association of Criminalists (CAC), a criminalist is a science-background (biochemistry, forensic science, biology, criminalistics, etc.) college-graduate professional who applies scientific techniques or methods to analyze and examine evidentiary components, testifying in court (if necessary) about specific findings. Around since 1954 and, reportedly, the oldest forensic science established regional organization in the US, the CAC is an excellent source of information about criminalists and what they do for a living. 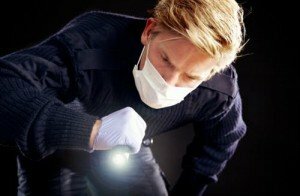 Employed by private companies, government agencies, institutions of learning or self-employed (e.g., as consultants), criminalists are only one of several different types of forensic science specialties. Others include serologists, document examiners, toxicologists, molecular biologists, chemists, educators, and toolmark/firearm examiners. In addition to the CAC, forensic science professional organizations to contact for information include SWGMAT, SWGDAM, ASCLD, ASTM E-30, DAB, ASCLD-LAB, AAFS, and ABC. Simply put, criminalists help law enforcement agencies manage, analyze and solve crime. To that end, they use a number of areas of science (i.e., entomology, odontology, pathology, engineering, criminology, geology, etc.) in order to examine evidence at crime scenes—hopefully identifying culprits and shedding light on what actually happened at the scene. Criminalists, considered experts in their field, often testify in court; their testimony can be crucially important in obtaining convictions—or overturning them, as in DNA-responsible release of later-found-to-be-innocent felons. Way before this, however, criminalists look at well-differentiated arrays of evidence, in most cases having to connect the “dots”—often making sense of otherwise enigmatic circumstances. Basic analytical procedures in toxicology, fingerprints, criminalistics, questioned documents, molecular biology, chemistry, etc. Toxicity and hazards of chemicals. Case law and statutes applicable to court-admissible physical evidence and forensic disciplines. Expert witness, discovery, time limits and evidence matters affecting rules of criminal procedure. The prompt/proper processing of evidence at crime scenes. The analysis of scientific data mathematics. Draw valid scientific conclusions from evidence at hand. Look for and recognize patterns; by the same token, notice disparities, abnormalities and aberrations. Identify/quantify chemical compounds such as poisons, diluents and drugs. Establish origin of substances found at crime scenes. Place suspects at crime scenes through creative methods. Develop good communication skills, especially in reporting scientific findings. Be able to convincingly testify in court findings; undergo intense cross-examinations. Conduct tests with high degree of accuracy/precision. Accumulate and properly interpret all evidence obtainable. You may have to take special exams required by the agency/state in question. You will need to pass stringent background checks that include criminal, credit, department of motor vehicle, drug usage, etc. You may need a graduate degree for most supervisory positions. In some cases, you may need the ability to prepare a lab for ASCLD/LAB Accreditation. According to the US Bureau of Labor Statistics, the future looks bright for most crime processing/investigating professionals, including criminalists. The expected salary for criminalists ranges from $35,000 to $50,000, depending on experience and training. Criminalists with graduate degrees and supervisory experience can make $100,000 or more. If you wish to become a criminalist, you have chosen a worthwhile, promising career. The very few “cons” for this choice are the fact that you may have to witness gory scenes, possibly come in contact with dangerous criminals (who may harbor grudges against you for participating in their being convicted), sometimes be confused for a criminologist (a related but different profession), and suffer serious consequences if you ever make mistakes on the field.